​We have a large portfolio of white Direct Thermal and Synthetic Linerless material. Adhesives from permanent, freeze to Acrylic removable. Colored or Pre-printed. ​We can today offer any kind of the Linerless material. From Light weight face, direct thermal, thermal transfer and synthetics. Non Bisphenol, Phenol-free and FSC certified. You are always welcome to contact us, click here and find our contact information. ​Linerless AB was founded 2001 with focus on development and production of Linerless material. Today we offer a full range of Linerless media products and we can recommend several manufactures of Linerless equipment. 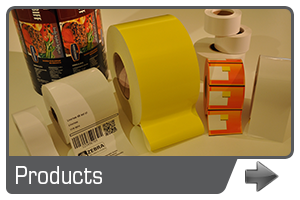 We have long experience from both conventional and Linerless label applications and do understand our partners need for solutions. 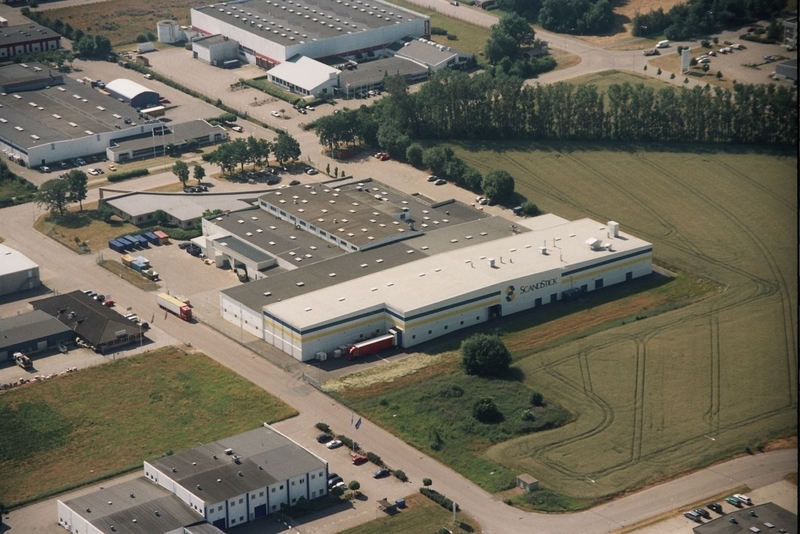 The company is located in the south of Sweden and we are offering our products worldwide through partners. If you are searching for a reseller close to you or want to become a partner, please contact us. Many companies has a clear emission target set on yearly basis. This normally means a clear focus to reduce resources that also has a negative CO2 impact. It has shown that this work not only reduces CO2 and resource usage, but also cut costs as well! 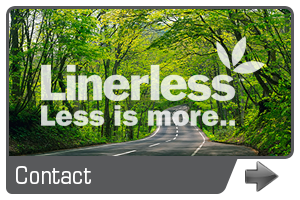 Linerless reduces the CO2 impact with approx. 50%, cutting both direct and indirect costs and offers enhanced functions into your solution. 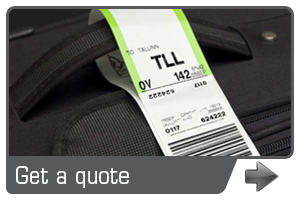 The Linerless label (liner-free) is made up of only three layers - silicon, face-material and adhesive. The result is a much more cost-effective production, approx. 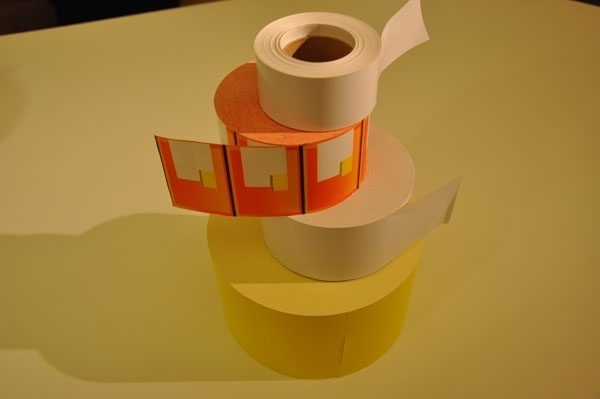 50% more material per roll, labels of different or varying sizes and reduces the Co2 footprint by 50% and it saves money! 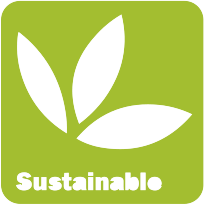 With Linerless the road to more eco-friendly label usage and production is fully open. Our material is of course FSC certified and with no added Phenols.